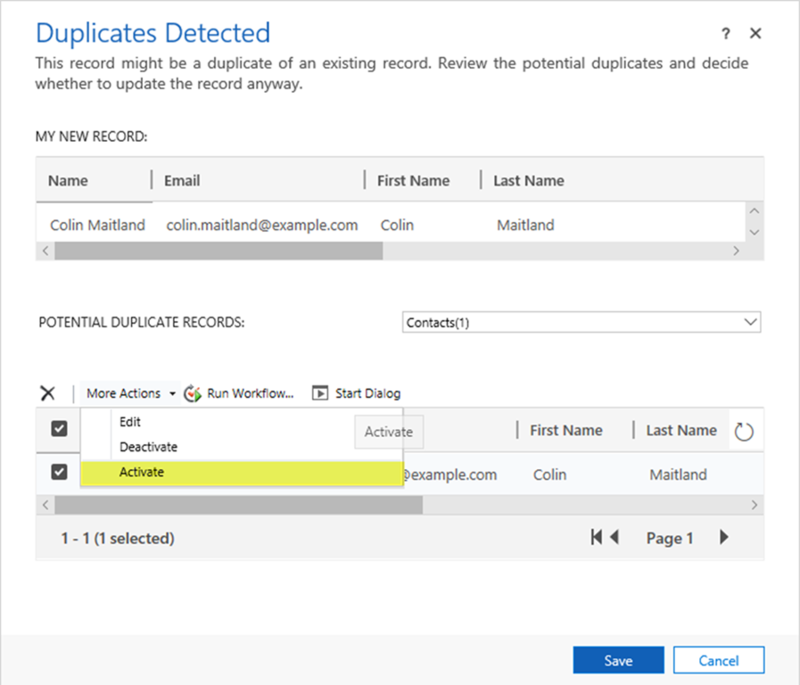 A little known and uncommonly used feature of Duplicate Detection Rules in Microsoft Dynamics 365 is that they can be used to detect Potential Duplicates with records of a different record type to the record being created or updated. 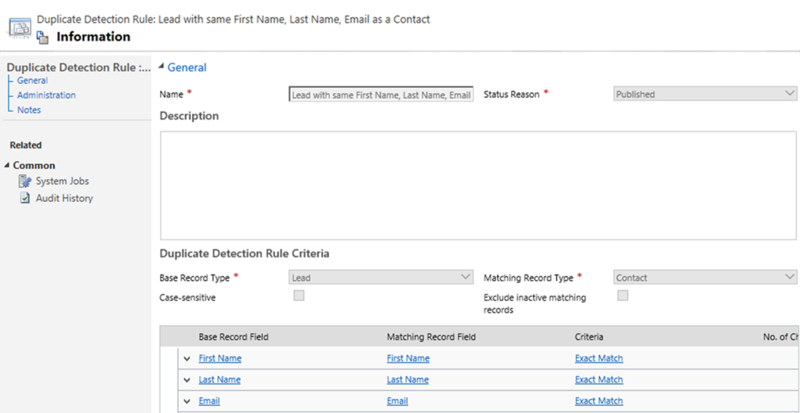 For example, Duplicate Detection Rules can be configured that check Leads with Contacts. The following image shows a Duplicate Detection Rule for a ‘Lead with the same First Name, Last Name and Email as a Contact’. This Duplicate Detection Rule compares a Lead with Contacts for Possible Duplicates and includes inactive Contacts in the comparison. 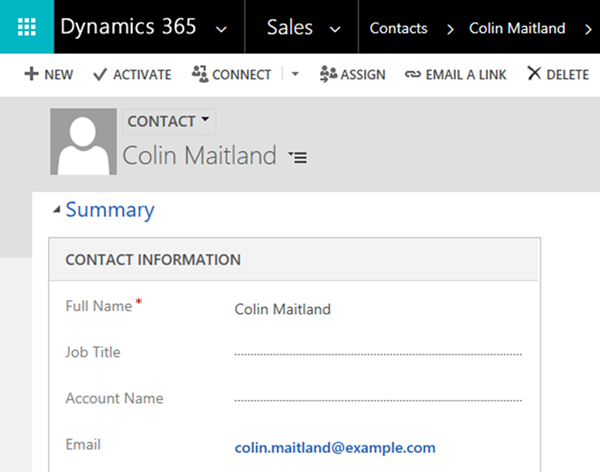 The following image shows an inactive Contact in Microsoft Dynamics 365. When an attempt is made to save a new Lead with the same First Name, Last Name and Email as an existing Contact the Duplicate Detection Rule is triggered. On the Duplicates Detected dialogue, the Lead is displayed in the MY NEW RECORD section and the Contact is displayed in the POTENTIAL DUPLICATES section. 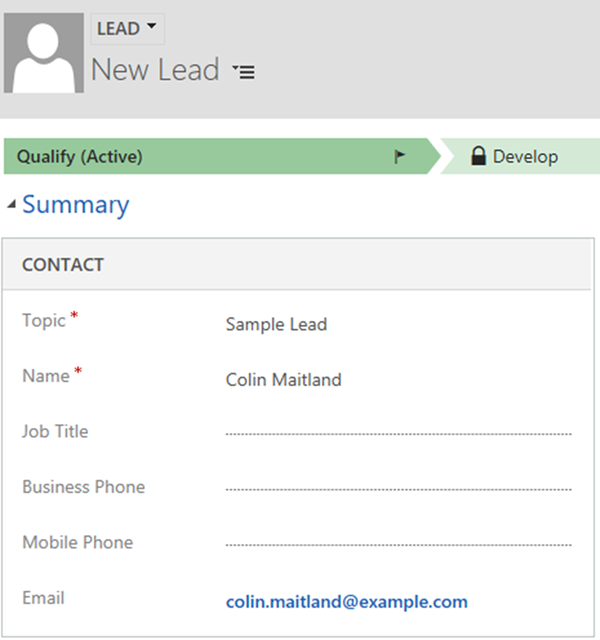 From here I can choose to perform a range of Actions against the existing Contact such as selecting and Activating the Contact before then continuing to save the new Lead. After activating the Contact and saving the Lead I can now associate the reactivated Contact with the Lead using the Existing Contact field displayed on the Lead to Opportunity Sales Process Business Process Flow on the Lead form. 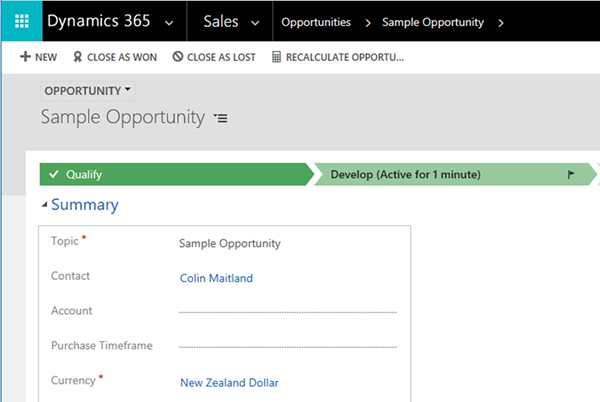 The Opportunity created as a result of Qualifying this Lead will be associated with the existing Contact; i.e. a new Contact will not be created. Note: The following ‘Duplicate warning’ is displayed because the Lead is already associated with an existing Contact rather than because of the Duplicate Detection Rule. 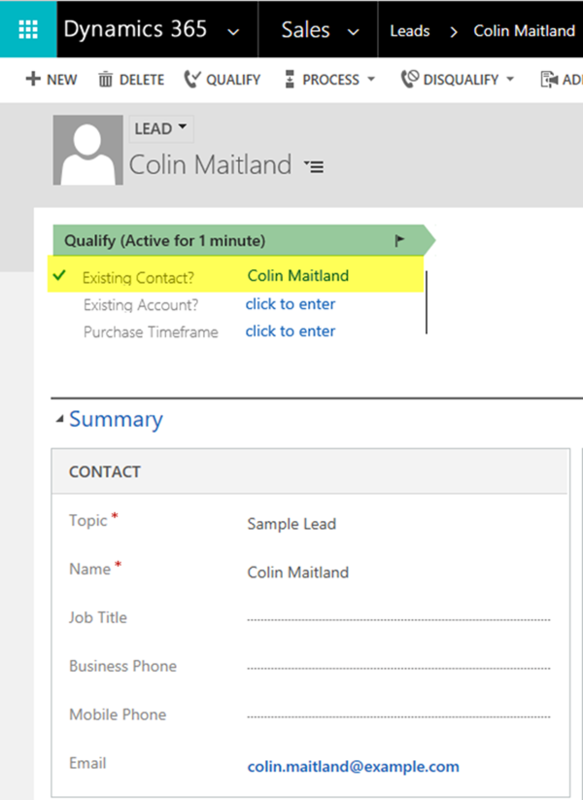 This image shows the new Opportunity created from the new Lead but linked to the existing Contact.